Using Design Thinking methods in Instructional Design becomes more and more popular. 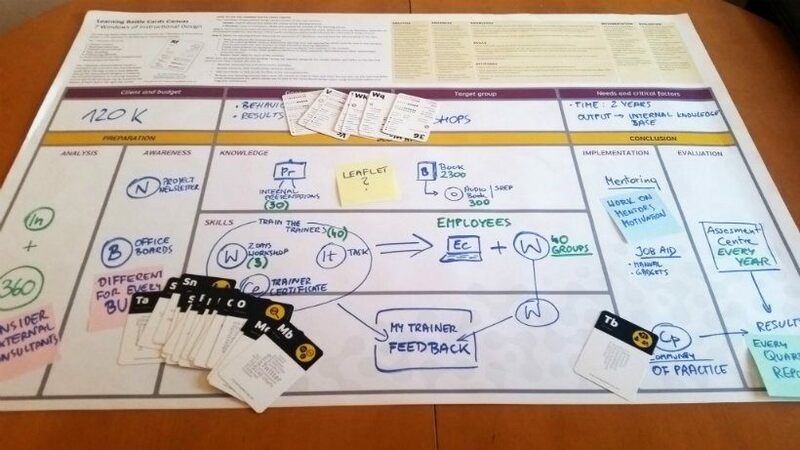 Recently we published one of our Instructional Designing Thinking tools (Learning Battle Cards Canvas) on the Creative Commons license to let you self-print it and use it at your own discretion. 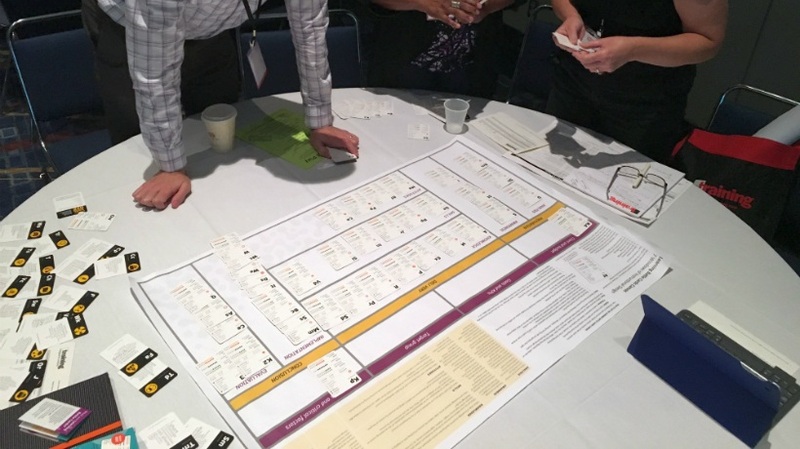 LBC Canvas is a part of Learning Battle Cards ecosystem of Instructional Design Thinking tools (more info at the bottom of this article). It is a framework depicting 7 Windows of Instructional Design. When printed on the big sheet (B1 format should be the minimum size) it helps to brainstorm and ideate the learning journey. Finished visualization could be used not only as a roadmap of the L&D process but also as a tool to discuss and sell the idea to stakeholders. The tool is intended to be used with the Learning Battle Cards deck and/or Learning Battle Cards Tokens (available in our store at LearningBattleCards.com). The way a card or token is used depends only on the Instructional Designer’s creativity. Our recommendations on matching any given card to any of the Windows can be found on the reverse of each card in the right top corner. Header: Used to discuss and define the context of the learning process (purple boxes over 7 Windows). 7 Windows: Used to brainstorm, ideate, and visualize the concept of the learning process (orange boxes below). How To Use The Learning Battle Cards Canvas? Step 1: Define and write down all information in the header: describe the client, define the learning objectives, elaborate on the potential audience, and discuss critical needs and factors which could influence the instructional design process. Use the Learning Battle Cards or LBC Tokens to brainstorm learning tools and approaches which could be used in that window. Discuss and select the best solution to meet the stated learning objectives. Place chosen cards or tokens or represent selected methods in the window drawing them, using post-its or other artifacts. Add arrows, lines, circles, other graphical elements to show sequence, dependencies, or other relationships between objects. Repeat these steps for each of the windows. Remove redundancies and unnecessary activities. Review (remove, add) relationships between the representation of learning methods. Add comments to help guide the flow of the learning process. Redraw your learning process into a new LBC Canvas to make it clean and clear. What methods do I need to use to identify and understand (or improve the understanding of) development needs? What level of competency has the given entity–organization, team, person–reached (what is the current state of development) and what level should be achieved as a result of undergoing the development process (what is the desirable state)? How homogeneous is the participant’s community? What is the learning environment - constraints and dependencies in organization culture, target audience, technologies, infrastructure? How do we encourage participants to engage in this learning intervention? How aware are participants of the need to develop the given competence? How do we make participants aware of the need for development? What would motivational mechanisms be most effective in the given development context? What is the awareness level about the process among participants (managers, top management, internal customers? How do we shape the project perception within the organization? What range of knowledge should participants acquire to achieve the set goals? What are the most optimal mechanisms for the given development context (project scale, the specific character of the target group, budget, schedule, organizational culture, etc.) to ensure effective knowledge transfer? How can knowledge acquired at this stage support the process of building skills or shaping attitudes? What skills (soft? hard?) are to be developed as part of the development process? What stage of skill development are participants at? Are we teaching novices or improving the skills of competent people? What is the goal (the skill level that the process is leading to)? Which mechanisms of skill development are optimal, taking into account the context of the given development process? What attitudes need to be shaped as part of the given development process? What approach or attitude to carrying out professional tasks do we expect learners to adapt to after the project has been completed? How do make learners adopt a positive attitude towards learning during the development process? What will barriers associated with a desirable change of behaviors be encountered by participants? What changes need to be made in the working environment and procedures so that employees become able to change their behaviors as a result of the development process? How do we prepare supervisors to support their team members throughout the change process? How do we build tools that will make it possible to evaluate the project by using hard data and by disclosing opinions, case studies, and employee questions? How do we want to collect evaluation data? Who will analyze the data, when will analysis take place, and what procedures will be followed? What will we do with the results of our analyses? What actions can we implement to achieve the effect of continuous evaluation? How To Download LBC Canvas On Creative Common License? LBC Canvas (Creative Commons under the terms BY/NC/ND) is available on our website at this link. All you have to do before downloading it is to pay-with-a-tweet. 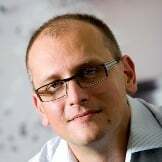 LBC Canvas – the tool which was described in this article. All Learning Battle Cards tools (including a ready-to-use, printed out B1-size LBC Canvas) are available for purchase in our store. Explore LearningBattleCards.com for more information.